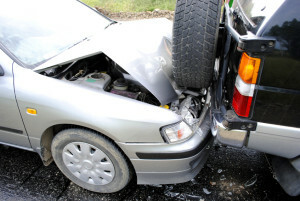 If you are involved in an auto wreck, you are in a vulnerable position. Your car has been damaged, and you may have sustained serious injuries. As if that’s not enough, the other driver may be under-insured or have no auto insurance at all. Even if the motorist has good insurance coverage, their insurance company may not turn out be your friend. Many people mistakenly believe that auto insurance companies are in the business of fairly compensating accident victims. The sad truth is that many insurance companies are in the business of making money and settling with accident victims for as little as possible. What Should I Do If I’m Involved In A Motor Vehicle Accident? The first thing you should do is seek medical help. Injuries sustained in a motor vehicle collision may not be readily apparent at the time of the accident, only to show up later. Should this be the case, having a medical report on file can be helpful. If the insurance company tries to minimize your injuries or pressures you to settle for less than you deserve, accident attorney Gary Poole will go to bat for you. The experienced auto accident lawyers at the law office of Gary Poole have been helping North Carolina accident victims to receive the full amount of compensation they deserve for almost 30 years. What’s The Best Way To Make Sure I Am Fairly Compensated For My Losses? Contact the law office of accident attorney Gary Poole as soon as possible after the accident. We can help you navigate through the confusion that follows an auto wreck, assist you in filing a lawsuit, instruct you about receiving compensation for property damage and make sure that your medical bills are covered. Chapel Hill, NC residents who have been victimized in car wrecks are entitled by law to fair and just compensation for their medical bills, present and future loss of income, property damage, rehabilitation, if needed, and damages for pain and suffering inflicted as a result of the accident. The seasoned accident attorneys at the law office of Gary Poole believe that auto wreck victims deserve strong, effective and experienced representation to ensure that they receive fair and honest settlements. Without aggressive representation by an experienced accident attorney, insurance companies can manipulate accident victims into settling for much less than they are due. If you have been victimized by someone’s driving, you have the right to collect the full amount of damages you sustained as a result of the accident. Schedule a free auto accident consultation with the Chapel Hill law office of Gary Poole. Contact us directly or complete our online contact form to schedule a free, no-obligation automobile accident consultation. Personal injury lawyers are on your side. When you sign on with an experienced accident lawyer from the law office of Gary Poole, you will be taking responsible action for yourself and for your loved ones.